Don't miss it -- the FINAL Jeep from the storied "Hamilton Collection"
This is it. 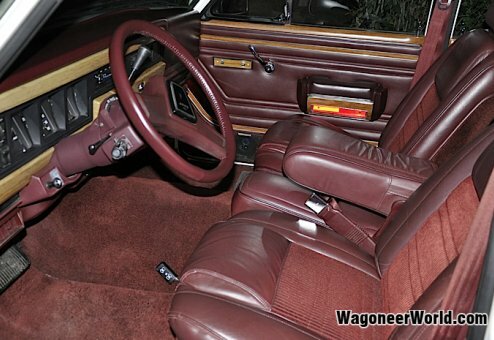 The very last Jeep from the historic "Hamilton Collection" of over 30 Jeep Grand Wagoneers. This unit is the ONE Jeep Mr. Hamilton chose to retain after we helped sell his collection starting in 2009 (see full Hamilton Collection story in Wagon Tales). Now, after further downsizing, he agreed to sell his final beloved Jeep Grand Wagoneer and we jumped at the opportunity to purchase this fine Jeep and make it available to our clients. Obviously one of his very favorites, this beautiful Jeep looks gorgeous and drives strong and smooth. Glossy paint, clean, fresh interior, well-maintained with a great history, this rust-free Jeep is now available. Elegant. Stately. Classic. Stunning. Charming. All of these words accurately describe this special Jeep! As part of the Hamilton Collection, this Jeep has a long record of being professionally maintained in-house, stored inside and regularly rotated (started & moved). 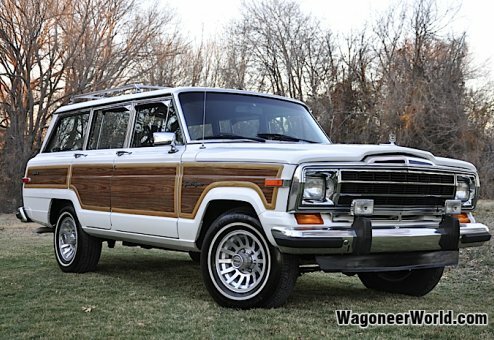 In addition to the work and professional maintenance by the Hamilton staff, this Jeep has gone through the complete Wagoneer World Certification/200+ point checklist and renewal in our shop. Includes original documentation, work receipts and a copy of the AUTOCHECK history report.